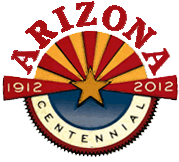 Have you ever wanted to add a switch to the ringer on a rotary phone? Here are some instructions on how to add a switch to the underside of the phone to shut off the ringer for some peace and quite. To remove the cover of the phone remove the screws on the underside of the phone. 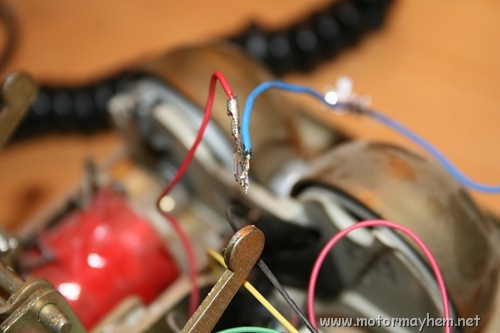 This will allow you to remove the cover from the chassis and access the circuitry inside. Be careful removing the cover because there could be wires attached to it (mine had a light in the cover). Make sure to unplug the phone before opening the case. Now that you have the cover off the phone you can access the internal circuitry that controls the ringer as well as the rest of the phone. 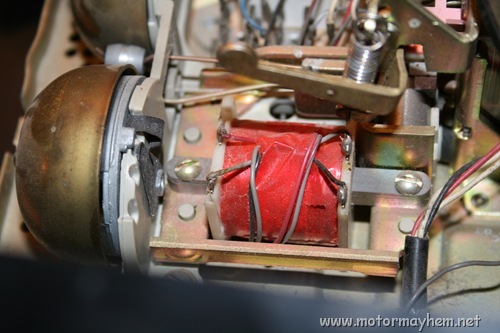 To do this trace any of the 4 wires that control the transformer that moves the arm that hits the bell. I decided to add a switch to the red wire because it was close to the cover. Now make sure that this wire does actually disable the ringer. To do this just unplug that wire (simulating the switch off) and call the phone. If the ringer does not ring and the ringer arm doesn’t move then this wire will work. 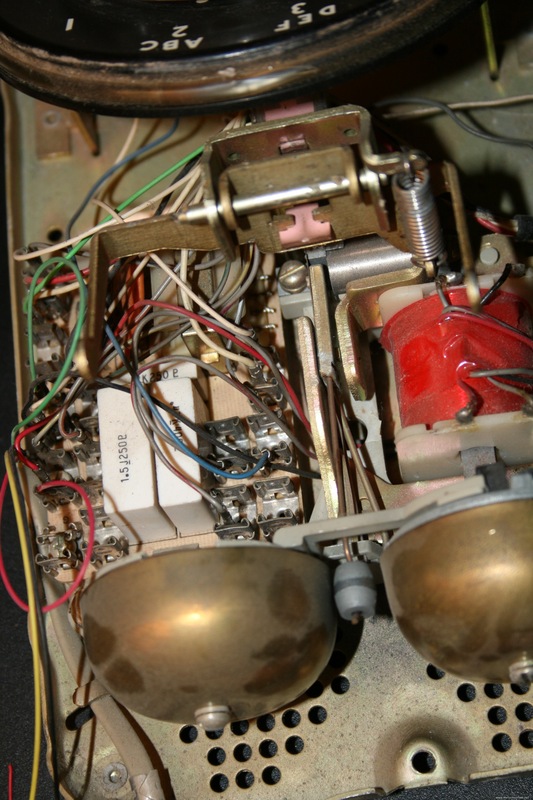 However, the arm may be pulled to one side and make a short “ding” sound. 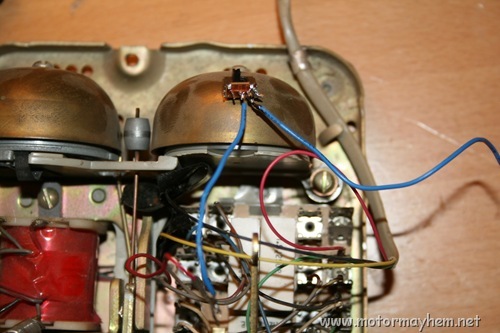 Try a different wire if this is the case to avoid messing up the bell and not actually silencing the ringer. You are now ready to add the switch to the phone. 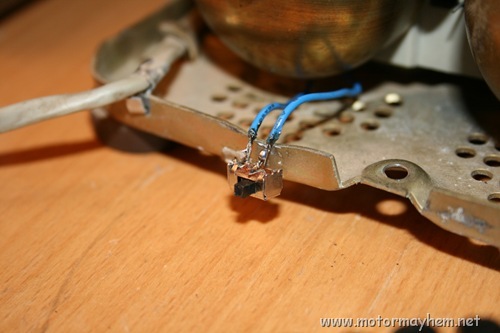 To do this is done by soldering a similar gauge wire to the contact that the wire you have chosen to switch was originally plugged into. 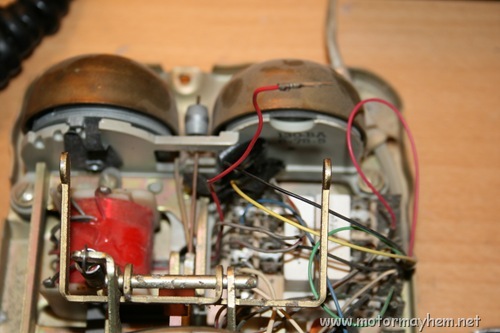 Now run the wire under the circuit board of the phone and solder the other end to one of the contacts on the switch. 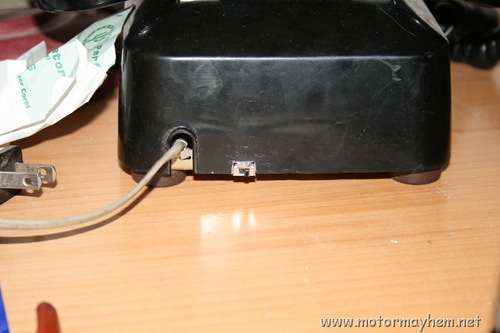 Now cut the connector off the wire you disconnected and solder it to the other contact on the switch. You can now drill a hole in the chassis of the phone or use an existing hole. Just place the switch in a location that will allow the switch to be enabled or disabled. I used super glue to hold it in place but other things can be used. You can also mount the switch on the side of the phone so you don’t have to tip over the phone to change the switch. 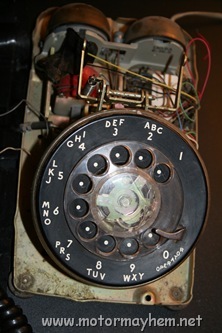 Anyone know how to remove the dialing plate in order to replace the phone number label on a rotary phone? I am delighted to have found these instructions as even the lowest ringer settings on my rotary phone(s) is disarmingly loud! One question, though: where does one buy a tiny little switch like that? The switch can be found at radio shack or any electronic store like that. They can normally be had for less than a dollar. Thanks, I got my hands on some. 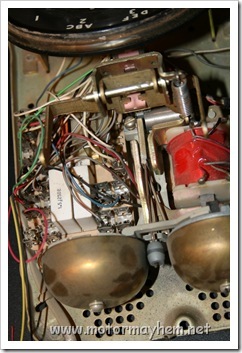 I have been searching all over to find instructions on installing a headset jack on a rotary phone – any ideas? What do you mean by a headset jack? Do you want it to be able to have input output functionality (listen and talk) or just listen? I don;t want to buy one for $120 though, I would just like to find out how to do it myself if possible! Thanks for getting back to me. Let me know what you think. Well I don’t know of any instructions, but I will take a look at my phone and see what I can figure out. This would be a nice thing to have as then you could plug the phone into a computer and use that to dial. I’ll check it out and let you know what I find. Thanks Miles! I think it would be amazing to have as well – let me know what you find out. Here is the writeup I did after looking into it a little. Comment on it if you have questions as it is a little vague at some points. It shouldn’t be terribly difficult to do. Wow, this is fantastic! Thanks Miles. I need to get some stuff done around my house and then I am getting right to this. Incredible! I think it is all clear but if I have any questions, is it all right to check with you? Sure, feel free to ask any questions you have. Where did you find a rotery phone?Do you still use it/ Too cool! I got it at an estate sale for $1 and yes I still use it as my desk phone. It also has a cool little red light that lights up when it rings so when the ringer is off you can still see when someone is calling.